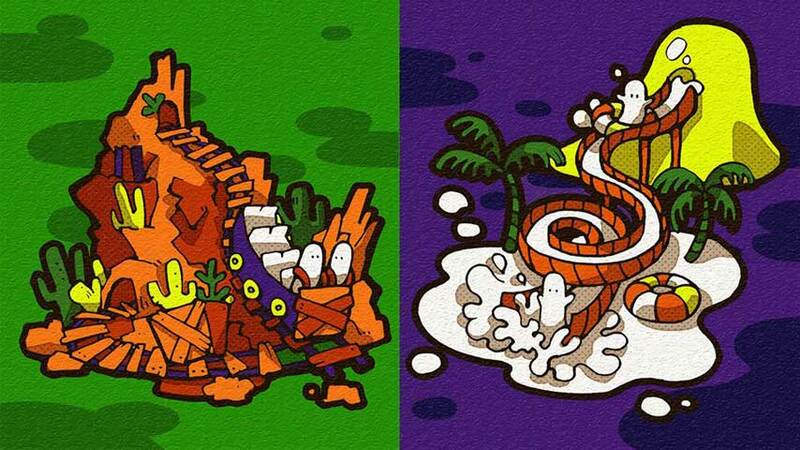 Splatoon is asking the tough questions – roller coasters or water slides? Splatoon’s popularity contest weekend event returns with the announcement of the second North American Splatfest. The fun kicks off at 9:00pm PT on Friday July 17, and runs for 24 hours. During this time, players can join Team Roller Coaster or team Water Slide. At time of writing, Nintendo of Europe had not yet announced a second Splatfest event. The first North American Splatfest ended in the victory of dogs versus cats, much to the chagrin of the skilled and tenacious Team Cat, who won more victories but were heavily outnumbered. In Europe, Team Rock won out over Team Pop completely. In Japan, rice easily won out over bread in the question of breakfast foods, while a red kitsune (fox spirit) proved more popular than a green tanuki, despite Team Green Tanuki winning more victories. In other Splatoon news, the Moray Towers map will be added to rotation at 7:00pm PT on Friday.